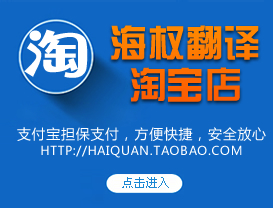 Haiquan Translation is a professional translation and interpretation service organization established under approval from Dalian Municipal Industry & Commerce Administration Bureau, and offers translation service in English, Japanese, Korean, French, German, Russian, Spanish, Italian and other languages. The company consists senior professional translators with different backgrounds and knowledge structures, returned Chinese scholars, academic leaders, and teachers federation of famous universities, we rely on the advantage of a team of professional-level translation experts and outstanding translators in professional fields, and we devote to build a national professional, high quality and efficient expert translation team. The company strictly follows the translation service procedures and standards, offers a long-term authoritative, professional, efficient and confidential high quality translation service for governments, social groups, enterprises, institutions and individuals, and create satisfying and reliable services of a high standard and preferential rate. The documents certified with “Exclusive Translation stamp”of our company are recognized by governments, institutions, notary offices, legal organizations, and various embassies and consulates. We always maintain the creditable service concept that “the satisfaction of clients is our permanent pursuit”, and we take “quality first, and professional service” as our sincere service standard. Credit, punctuality and confidentiality are our commitments and duty-bound responsibilities to our clients, we will strictly implement the service procedures, and will offer you with fastest translation service of the highest quality and most preferential rate.